US mobile chip giant Qualcomm is to refund BlackBerry $814.9 million in royalties overpaid by the Canadian company, according to a tentative arbitration award announced on Wednesday. "BlackBerry and Qualcomm have a longstanding relationship and continue to be valued technology partners," BlackBerry chief executive John Chen said in a release. "We are pleased the arbitration panel ruled in our favor and look forward to collaborating with Qualcomm." Shares in BlackBerry, which has largely exited the mobile handset business in favor of software and services, jumped 16.9 percent to nine dollars in trading on the Nasdaq exchange after the arbitration award was announced. 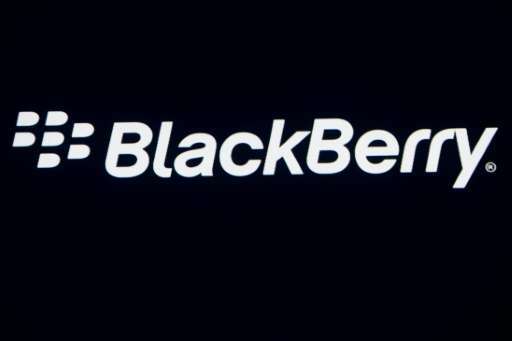 The chip maker contended that the arbitration regarded contractual provisions unique to BlackBerry and "has no impact" on licensing agreements with other companies. Apple's complaint argued that Qualcomm abused its market power to demand unfair royalties, echoing charges by US antitrust regulators and authorities around the world. It added that Apple has encouraged antitrust regulators around the world—with complaints launched in South Korea, the European Union and elsewhere—by "intentionally giving government agencies false and misleading information and testimony about Qualcomm."